When this app first came out it was awesome and worked perfectly. 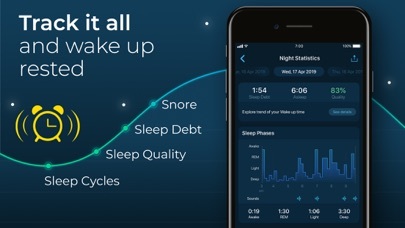 when they updated it it stopped tracking sleep appropriately no matter how long or how deep I sleep. It never says I have deep sleep and it always says I have 3 to 4 hours of missed sleep. I need this app to work as created. This imperative to my health as I must track my sleep for medical reasons. The developers promised me that the issues will be fixed with the next update. that was three updates ago and every time a new update comes out nothing changes whatsoever. The developers need to go back to the original algorithm and make this app work. I paid for the extended features on the app because I love the original app so much but now it seems like a total waste of money because this app does NOT work!!!! Watch now that I left the review I’m going to get the standard BS “email us with the details to your issue.” The details are right HERE in this review. The same issues everybody who complains has had. Fix the issue!!!!! How hard is it to roll the app back to the old software that actually WORKED?? Free version lacks a lot of ability. So inconsistent that I wouldn’t be willing to pay for the upgraded version. I paid and I want to like this app. It i very unreliable. Sometimes the clock display stays on, many times it shuts off after a few seconds. Seems to be random. 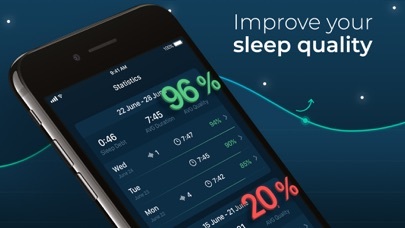 Sometimes it measures sleep, other times nonsensical data. I was hoping this would get fixed. I am assuming now it will not. ++++++++++ Update after contacting developer. Here is the response I got after sending the description of the problem to Apalon. 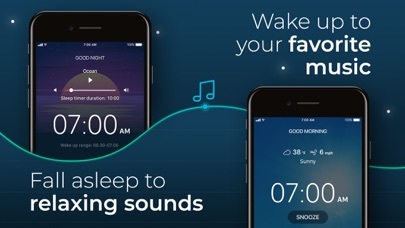 “ looks like something is preventing the app from tracking your sleep correctly. Please make sure there are no loud sounds and movements around you while you were sleeping.” Seems like a canned answer sent without look at the description of the problem. It was a great app. It became slower when it changed name. And now from the last 2 updates it doesn’t work anymore. Shame! I tried the free version of this app and loved it so much I subscribed. I love the gradual wake up process. 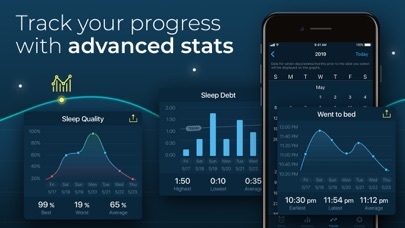 I also love that it tracks your sleep data and that you can add different preset information to track. However, too often the lately the alarm has not actually sounded causing me to oversleep. Also, the data tracking has not been working properly. It shows me awake for the majority of the night. My daughter and I both have the paid versions of this app and we are both experiencing the same issues. She has an iPhone XS and I have the XS Max. Whatever bugs are causing this need to be fixed or we will end our subscription or find something else.